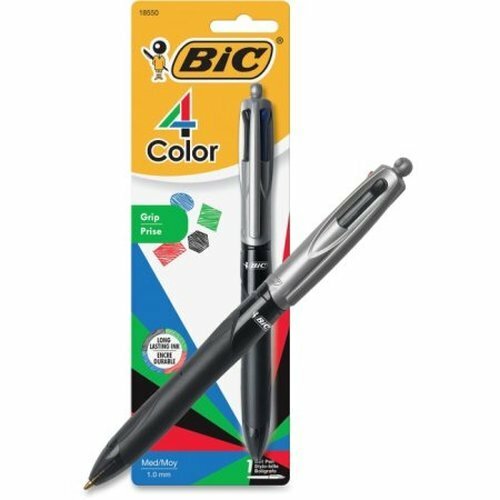 BIC 4-Color Grip ball pen offers the iconic 4-Color pen in a comptemporary design. It has a stylish grip for long-lasting comfort. It writes in black, red and green ink.